27th Itikaf City of Minhaj-ul-Quran International came to end after sighting of the moon on June 15, 2018. Shaykh-ul-Islam Dr Muhammad Tahir-ul-Qadri led tearful Dua in the Itikaf City, a place for understanding of religion, reformation, repentance and self-improvement. 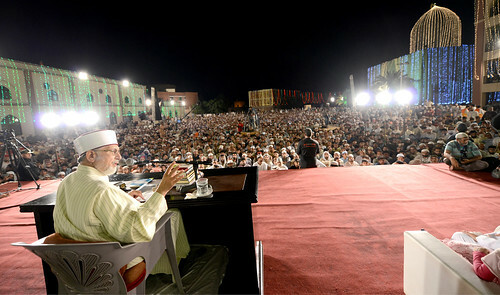 The residents of Itikaf City were weeping as Shaykh-ul-Islam made Dua.